Microsoft Build 2018 is just a few days away on May 7-9. Whether you can’t make it to Seattle or you just want to enhance your on-the-ground experience at the event, Microsoft Build Live brings you live as well as on-demand access to three days of inspiring speakers, spirited discussions, and virtual networking. The livestream gives you another way to connect, spark ideas, and deepen your engagement with the latest ideas in the cloud, AI, mixed reality, and more. Python, Node.js, Go client libraries for Azure Event Hubs in public preview - Azure Event Hubs is expanding its ecosystem to support more languages. Azure Event Hubs is a highly scalable data-streaming platform processing millions of events per second. Event Hubs uses Advanced Message Queuing Protocol (AMQP 1.0) to enable interoperability and compatibility across platforms. Now, you can easily get started with Event Hubs with the addition of new client libraries for Go, Python, and Node.js in public preview. Monitor Microsoft peering in ExpressRoute with Network Performance Monitor - public preview - Connectivity to Microsoft online services (Office 365, Dynamics 365, and Azure PaaS services) is through the Microsoft peering. We enable bi-directional connectivity between your WAN and Microsoft cloud services through the Microsoft peering routing domain. You must connect to Microsoft cloud services only over public IP addresses that are owned by you or your connectivity provider and you must adhere to all the defined rules. You can now monitor the end-to-end connectivity between your on-premises resources (branch offices, datacenters, and office sites) and Microsoft online services (Office 365, Dynamics 365, and Azure PaaS services) connected through an ExpressRoute. NPM proactively sends you alert notifications whenever the loss and latency of the connection shoots over the set threshold. Announcing low-priority VMs on scale sets now in public preview - Low-priority VMs allow users to run their workloads at a fraction of the price, enabling significant cost savings. Azure virtual machine scale sets let you create and manage a group of identical, load balanced, and autoscaling VMs. VM scale sets is a great option for resilient, fault-tolerant applications as these VMs are allocated using our unutilized capacity. At any point in time when Azure needs the capacity back, the Azure infrastructure will evict low-priority VMs; therefore, low-priority VMs are great for workloads that can handle interruptions like batch processing jobs, dev/test environments, large compute workloads, and more. Low-priority VMs are available through VM scale sets with up to an 80 percent discount. Azure Friday | Episode 408 - Low-Priority VM Scale Set (VMSS) - Ziv Rafalovich joins Scott Hanselman to show how to use low-priority VM scale set for a significant cost saving with Azure. Turbocharge cloud analytics with Azure SQL Data Warehouse - Take advantage of Azure SQL Data Warehouse Gen2, which is now generally available. Gen2, formerly known as Optimized for Compute, comes with five times the compute capacity and four times the concurrent queries of the Gen1 offering. The enhanced storage architecture on Gen2 introduces unlimited columnar storage capacity, while maintaining the ability to independently scale compute and storage. The capacity increase means that users can run their most demanding workloads on Gen2. The increase in concurrent queries provides an opportunity to run more in parallel, to help ensure full utilization of system resources. Adaptive caching powers Azure SQL Data Warehouse performance gains - Azure SQL DW Compute Optimized Gen2 tier fully takes advantage of NVM Express (NVMe) solid-state drive (SSD) devices through adaptive caching of recently used data on NVMe. With this breakthrough on customer workloads, we have observed up to five times the improvement in query performance, compared with the first generation of Azure SQL DW and some workloads improved even more. Blazing fast data warehousing with Azure SQL Data Warehouse - Azure SQL DW Compute Optimized Gen2 tier delivers fast query performance through adaptive caching; increased concurrent queries that can be executed to power enterprise-wide dashboards with high concurrency; and predictable performance through scaling with the ability to store unlimited data in SQL’s columnar format, and the availability of new SLOs with an additional five times the compute capacity. Region expansion for the next generation of SQL Data Warehouse - The release of Azure SQL DW Compute Optimized Gen2 tier comes with an expansion of 14 additional regions, which brings the global region footprint of SQL DW Gen2 to 20 and surpasses all other major cloud providers. With more global regions than any other cloud provider, Azure SQL Data Warehouse gives you the flexibility to deploy applications where you need them. 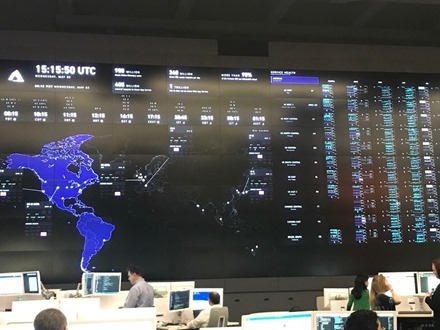 Global VNet Peering now generally available - Global VNet Peering is now generally available in all Azure public regions, excluding the China, Germany, and Azure Government regions. Global VNet Peering enables resources in your virtual network to communicate directly, without gateways, extra hops, or transit over the public internet. This allows a high-bandwidth, low-latency connection across peered virtual networks in different regions. With just a couple of clicks, you can use Global VNet Peering to share resources within a global, private network. You can then easily replicate data across regions for redundancy and disaster recovery. AzCopy on Linux now generally available - AzCopy is a command line data transfer utility designed to move large amounts of data to and from Azure Storage with optimal performance. It is designed to handle transient failures with automatic retries, as well as to provide a resume option for failed transfers. This general availability release includes: throughput improvements up to 3x, easy installation, pipe from stdin, and single file transfer support. General availability: Azure Storage metrics in Azure Monitor - Azure Monitor is the platform service that provides unified user interfaces for monitoring across different Azure services. With Azure Monitor, you can visualize, query, route, archive, and take action on the metrics and logs coming from resources in Azure. With metrics on Azure Storage, you can analyze usage trends, trace requests, and diagnose issues with your storage account. The Azure Cloud Collaboration Center: A First-of-Its Kind Facility - On Wednesday, we invited the world to see how our teams are innovating in the Azure Cloud Collaboration Center, a first-of-its-kind facility that combines innovation and scale to address operational issues and unexpected events to drive new levels of customer responsiveness, security and efficiency. The Cloud Collaboration Center space gives customers a snapshot of what is happening with their data 24/7 and enables real-time troubleshooting of any issue by multiple teams simultaneously from across the organization. Announcing first-class support for CloudEvents on Azure - Azure is the first major public cloud to offer first-class support for CloudEvents as part of Azure Event Grid, which is an event-centric serverless platform. CloudEvents is a new open specification and standard for describing event data in a common and consistent way. Building on this standard will enable interoperability between different cloud providers, SaaS companies, IoT manufacturers, and many others creating a much richer and more inclusive serverless experience. Additionally, this will enable event-based IoT solutions on the edge to take an event-model dependency without being locked to a single cloud provider. Secure credential management for ETL workloads using Azure Key Vault and Data Factory - Azure Data Factory is now integrated with Azure Key Vault. You can store credentials for your data stores and computes referred in Azure Data Factory ETL (extract, transform, load) workloads in a key vault. Simply create an Azure Key Vault linked service and refer to the secret stored in the key vault in your Data Factory pipelines. Azure Marketplace new offers: April 1–15 - The Azure Marketplace is the premier destination for all your software needs – certified and optimized to run on Azure. Find, try, purchase, and provision applications & services from hundreds of leading software providers. In the first half of April we published 20 new offers, including: Ethereum developer kit (techlatest.net), TensorFlow Serving Certified by Bitnami, and Machine Learning Server Operationalization. Microsoft extends AI support to PyTorch 1.0 deep learning framework - PyTorch 1.0 takes the modular, production-oriented capabilities from Caffe2 and ONNX and combines them with PyTorch's existing flexible, research-focused design to provide a fast, seamless path from research prototyping to production deployment for a broad range of AI projects. Azure Machine Learning Services provides support for a variety of frameworks including TensorFlow, Microsoft Cognitive Toolkit, and soon PyTorch 1.0 is another example. Azure expands certification scope of Health Information Trust Alliance Common Security Framework - Health Information Trust Alliance (HITRUST) renewed our Azure HITRUST Common Security Framework (CSF) Certification, which is the most widely recognized security accreditation in the healthcare industry. In addition, certification scope expanded from last year by more than 250%. The HITRUST CSF builds on Health Insurance Portability and Accountability Act (HIPAA) and the Health Information Technology for Economic and Clinical Health (HITECH) Act, by providing a framework for complex compliance requirements that include technical and process elements such as HIPAA, NIST, ISO and COBIT to ensure controls are in place to safeguard Protected Health Information (PHI). Azure M-series VMs are now SAP HANA certified - Azure M-series virtual machines (VM) host on the most powerful cloud hardware that is available across all public cloud providers. They deliver configurations up to 128 vCPUs and 4TB RAM for a single VM! 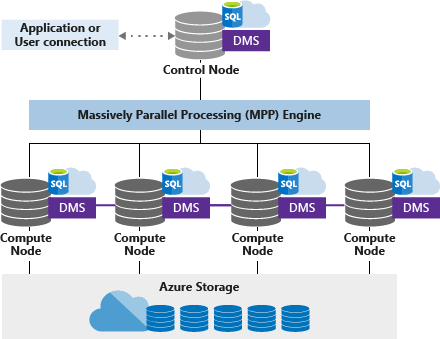 Over the past few months, we have seen customers adopt and utilize M-series VMs for high-end database workloads based on SQL Server, Oracle, and other DBMS systems, even already move entire SAP landscapes into Azure. We have been working with SAP over the last few months to leverage and certify Azure M-series VMs for their SAP HANA database, utilizing these capabilities. Today, we are excited to announce that M-Series VMs are certified by SAP for SAP HANA. See this post for information about which VM types received certification for specific production workloads. Azure Friday | Episode 407 - VS Code for Java Microservices in Kubernetes - Rome Li joins Donovan Brown to discuss how to run your Java microservices in Kubernetes with the help of Visual Studio Code. Java Extension Pack lets you work with Java code and projects. Spring Boot Extension Pack makes it very efficient to work with Spring Boot applications. And Kubernetes Extension visualizes Kubernetes resources and makes it easier to work with kubectl and manifest files. The Azure Podcast | Episode 227 - Azure SRE - Get the latest updates and Principal Software Engineer Richard Clawson from the Azure SRE team gives us the inside scoop on how his team keeps Azure running reliably. Explore SaaS analytics with Azure SQL Database, SQL Data Warehouse, Data Factory, and Power BI - In this tutorial, you walk through an end-to-end analytics scenario. The scenario demonstrates how analytics over tenant data can empower software vendors to make smart decisions. Using data extracted from each tenant database, you use analytics to gain insights into tenant behavior, including their use of the sample Wingtip Tickets SaaS application. This scenario involves extracting data, optimizing it, and using BI tools to draw out useful insights. Microsoft Build: Come for the tech, stay for the party - Looking forward to Microsoft Build? Now you’ve got one more reason. After three days of can’t-miss tech sessions and skill-sharpening workshops, we’re throwing an awesome party for attendees at Seattle Center.